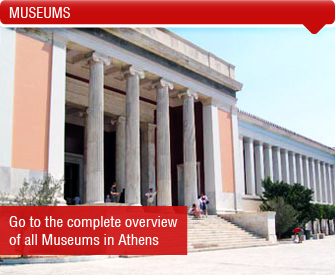 It would not be an overstatement if we said that all of Athens is a vast outdoor museum. Besides every day the archaeological mattock razes bring to light hundreds of findings of great cultural value. 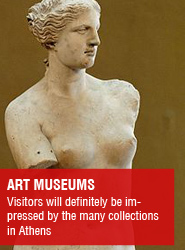 There are, of course, the conventional museums, that demonstrate the steady frame of mind of the Greeks to take care of their cultural inheritance. 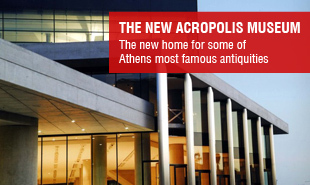 Museums, ready to welcome new archaeological treasures and tokens of a vast historical course. Following your visits to the museums of the city (Benaki, Cyclades Art), it is really worth it to pay a visit to the museum shops where you will find beautiful and unique souvenirs. Discover the small and quiet café that is located in the garden of the Numismatic (The Mint) Museum. During the summer months there is live jazz every Thursday night.